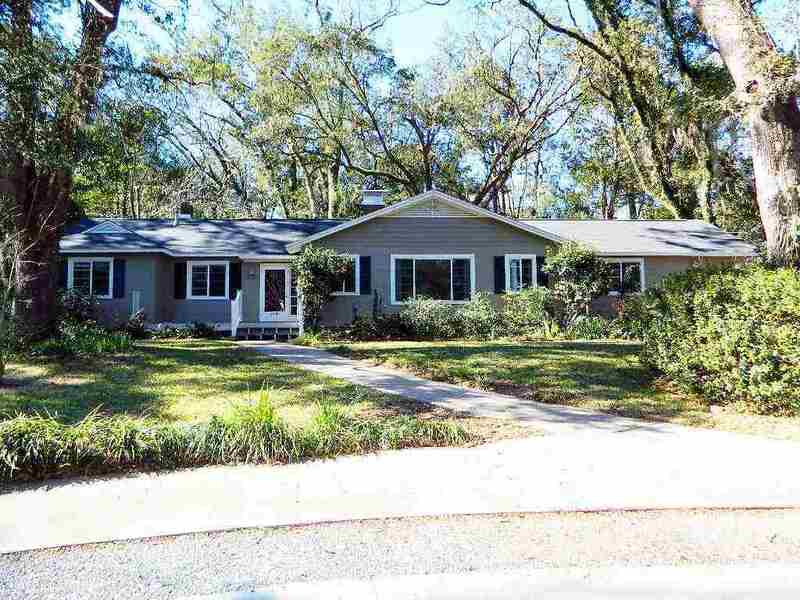 Beautiful 4/3 home available on over half an acre in Midtown w 1-car garage & true in-law suite! U shaped driveway provides plenty of parking. Large living/dining room w fireplace; separate family room/den area could also be an office/workspace with built-in shelving. Bright eat-in kitchen has addtnl butler cabinetry and connects to laundry/mudroom. In-law suite w full bath on right side of house has private back entrance, 3 bdrm/2 bath on other side of house. Hardwood floors & tile throughout, fresh paint, loads of character & charm! Oversized backyard has lush trees, large back deck and brick patio. Prime location right off Thomasville Rd - come see today!